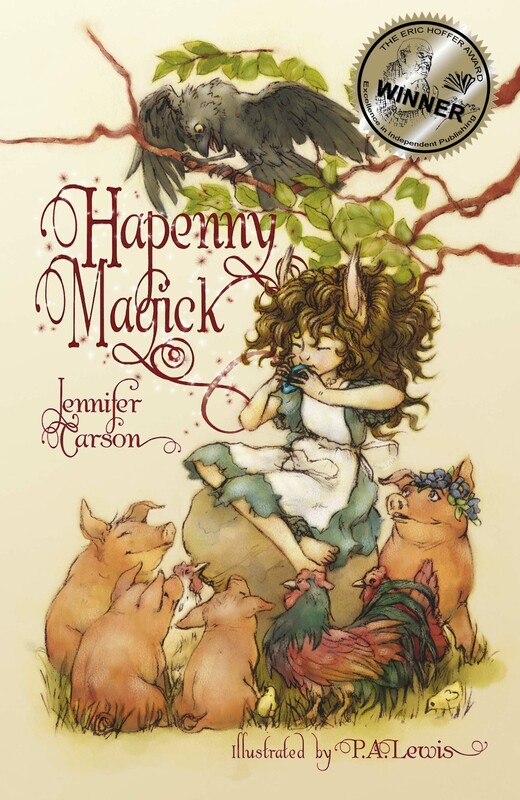 Hapenny Magick, coming in April 2014. Click here for an advanced reader copy! Maewyn Bridgepost, the tiniest Hapenny (a race of little people) spends her days from breakfast to midnight nibble scrubbing the hearth, slopping the pigs, and cooking for her guardian, Gelbane, who never spares a kind word. As if life as a servant isn’t bad enough, Mae learns that Gelbane is a troll and Hapennies are a troll delicacy. Years ago, a spell trapped Gelbane in Mae’s village. Ever since, Gelbane has been chiseling away the magic protections and now Mae’s home is destined to become a smorgasbord for half-starved trolls. It will take all of Mae’s courage to protect her village. When pitchforks, sewing needles, pots, brooms and a little magick, are the only weapons at hand, Mae finds out that great victories can be accomplished no matter what size you are, but only if you stick together.